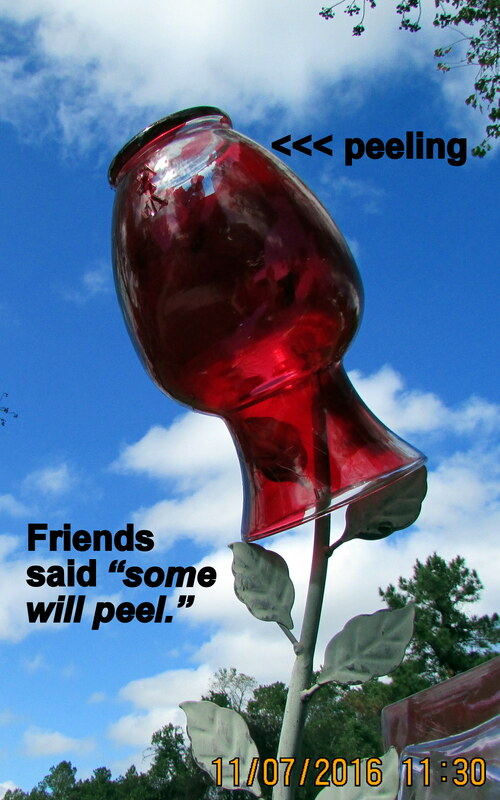 A visitor viewing my bottle tree said: “A lot of colored bottles and vases are simply a ‘wrap’ that will peel off.” Yup!! 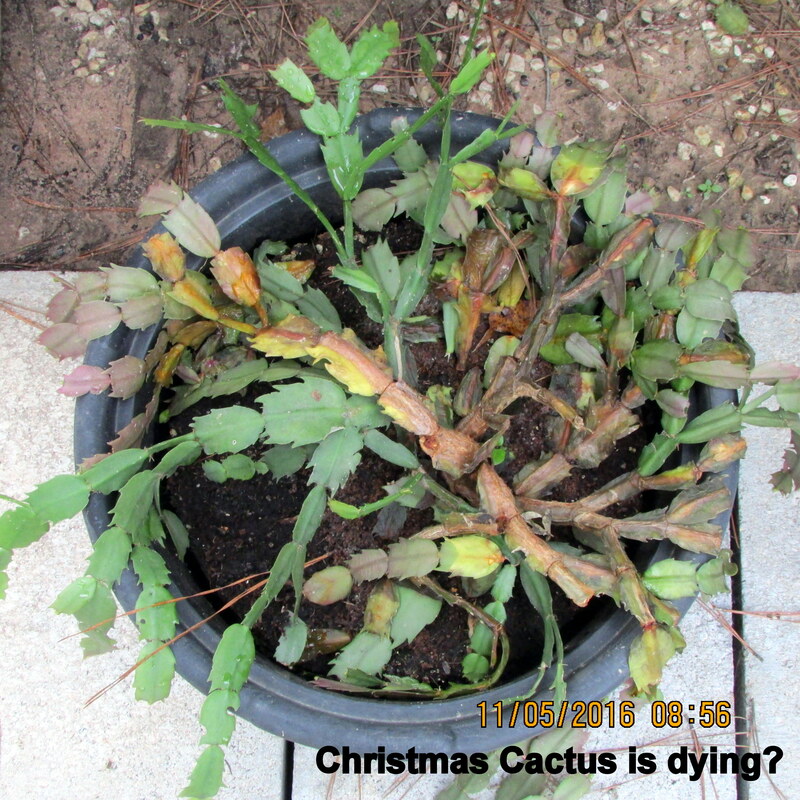 I have a red vase that is “peeling.” ~~ The Christmas Cactus suddenly started dropping its “branches” and turned a sick shade of green. I’ve since transplanted it–and have some branches in small planters and hope they will root. 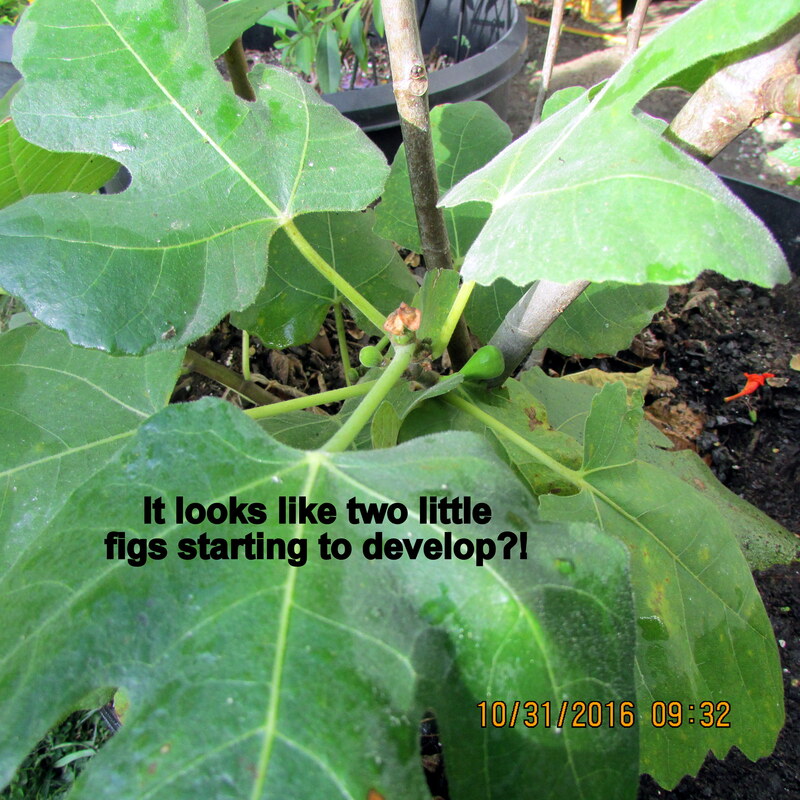 ~~ The Fig tree appears to be setting on figs–and it is the wrong time of year!! Recently, we moved the fig tree from the northwest corner of my trailer home to the southeast corner. Its late enough in the year, I thought it could handle all-day sunshine. Well, the tree didn’t like the move and the leaves are turning brown. ~~ My gardening is a new experience from day-to-day: Win some, lose some.